Every two years, since 1997, the August Full Moon witnesses an activation of a portal. 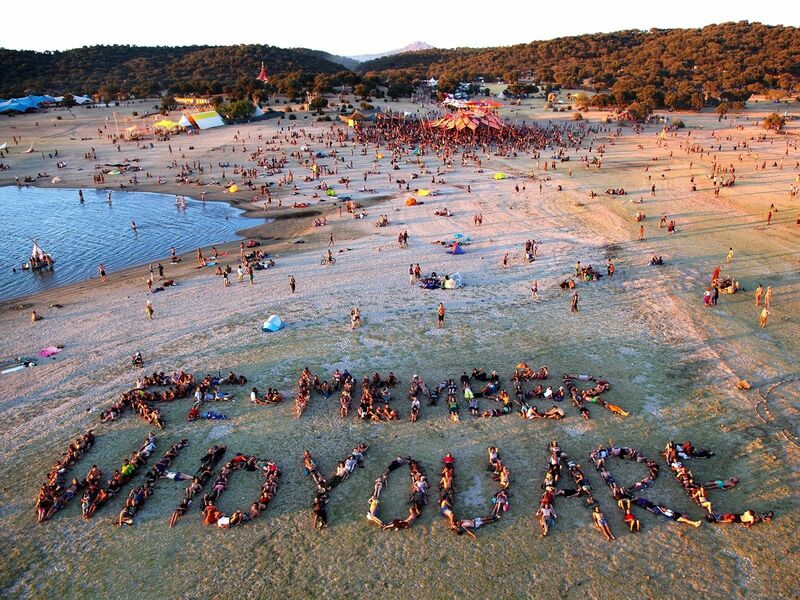 Every two years, Boom Festival gathers the tribes to celebrate life, art and nature. ‚We Are One‘ and ‚We Are All‘ were mottos that connected psy-trancers with the true meaning of collective trance and psychedelic awareness: the contact with something magic, universal and representative of the union between mankind and the cosmos. The awakening of a universal being. Boom Festival started in 1997 and since 1998 it has taken place every other year as a weeklong psychedelic trance music festival. Festival-goers come from around the world to enjoy the progressive arts and music that lean towards genres in trance, chillout, and other gentler electronic styles, although festival organizers are always on the lookout for alternate artistic genres. Art and performance play a large role, with circus, street theatre, jugglers, fire shows, film screenings, and amazing talents from all over the world also converging on the festival. Be sure to checkout for the fantastic array of sculptures scattered throughout the grounds. The main focus of the Boom Festival is to integrate a sustainability ethos with arts and culture to provide a transformational experience for everyone who visits. It is a festival dedicated to all free spirits, encouraging a change in the way people communicate by eliminating the need for words. Boom adheres to the principle of thinking outside the box, reflecting novel ways of expression by unifying the alternative and psychedelic culture of the world, away from the social and cultural influences of day-to-day life. Expand your spirituality through one of the many programs focussing on healing, yoga, tai chi, kung fu, therapies and holistic teachings. The Liminal Village is Boom’s cultural hub. With lectures and talks on themes as diverse as mythology, activism, ecology and alternative science, discussions stem from the eternally fundamental questions such as: Who are we? What are we doing here? Where are we going? The Boom Environmental Program has been recognized with the Outstanding Greener Festival Award for each of the last three festivals along with other awards, including the European Festival Award and Greener Festival Award for Green Innovation. 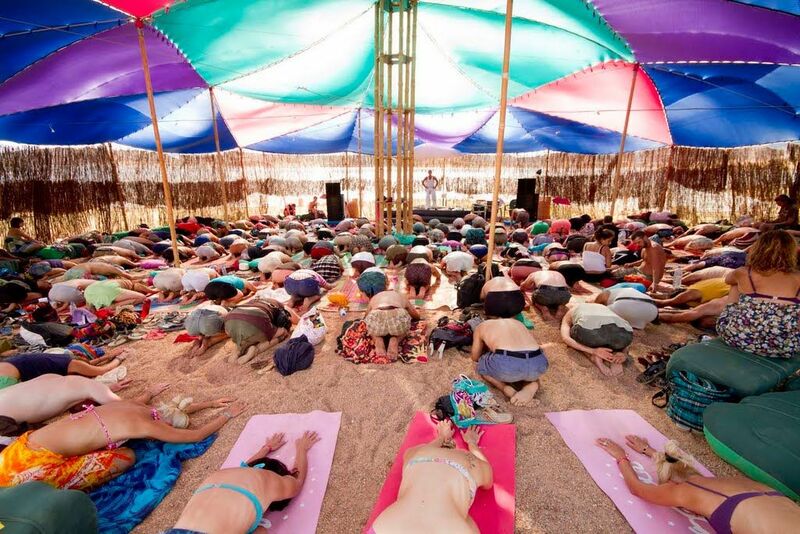 It demonstrates how possible it really is to create human gatherings that respect the environment.There is a strong focus on clean energy and using biodegradable products such as composting toilets to reduce the festival's carbon footprint. Participants are also encouraged to recycle their waste at every opportunity. Boom is an open-minded gathering of the psychedelic movement. It is much more than just a music festival, though the music has been integral to the success of the festival. There are four dance stages: Dance Temple, Alchemy Circle, Sacred Fire and the Chill Out Gardens. The Dance Temple showcases the powerful sound of the best organic trance and electronic psytrance. The newest stage, the Alchemy Circle, is the place to discover fresh sounds, outrageous styles, unexpected rhythms, and the merging of electronic sounds you would have never thought possible. The Sacred Fire stage is dedicated to the promotion of acoustic music and community life in contact with nature. We can define a festival in a number of ways and use our imagination to name what we experience. But, at the end of the day, if we just open up to the ‘other’, we will understand that the experience of a festival like Boom goes way beyond having fun, it can come to symbolize the reinvention of relationships between human beings and, if so, we are doing something noble: building a new civilization. Boom is completely free of corporate sponsorship and is funded by ticket sales alone. There are no VIP areas, no special treatments—everyone is a VIP!